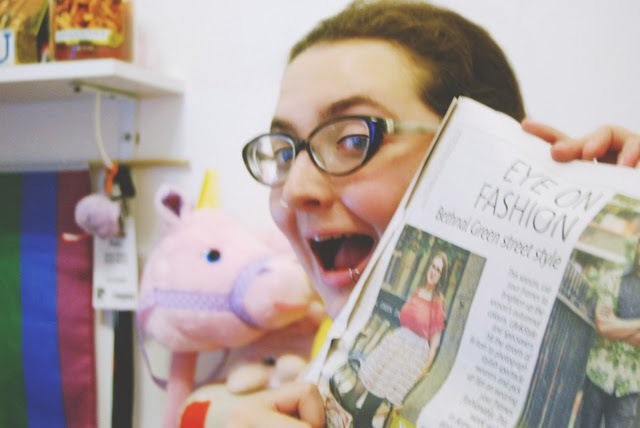 If you read the Metro this morning, you might well have seen my face staring up at you. In fact, I got quite a few tweets from people who had seen me, which was nice! You see, way back at the end of August, I posted about a cryptic trip to London. A couple of weeks later, I showed you photos of my new Specsavers glasses. 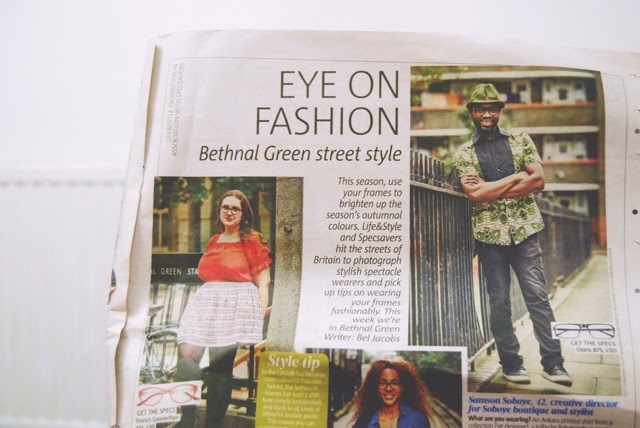 What I can now tell you is that I was being shot by the Metro as part of their Specsavers Eye on Fashion features. It was a fun experience. I got to the Bethnal Green branch of Specsavers to have my hair and make up done, and to choose a pair of frames to wear for the shoot. We then ventured right to the middle of Bethnal Green, at the huge busy junction next to the tube station, for the shoot. It was a little bit of a bizarre experience as there were loads of people walking past and watching. Still, it was a lot of fun and now I get to pretend to be a superstar for a day! 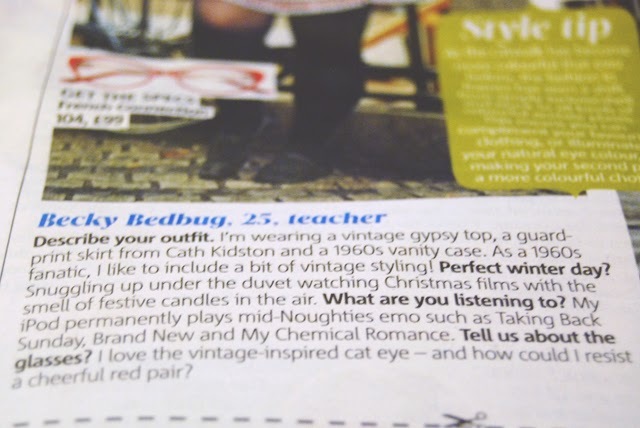 I've been in the national papers, don't you know? Aww wow this looks amazing! How cool! You look so pretty! I love those glasses too. You're so famous- I hope you're practicing "don't you know who I am?" Ha ha ha. You look great I love your top and my perfect winter day includes the duvet as well. I love my bed. Wooooaaaah , it's so awesome . Congoz ! Aw this is so cool, congratulations! Claim to fame! Well done. That's so cool Becky! Congratulations!